4 Real Ways New Windows Improve Your Life! 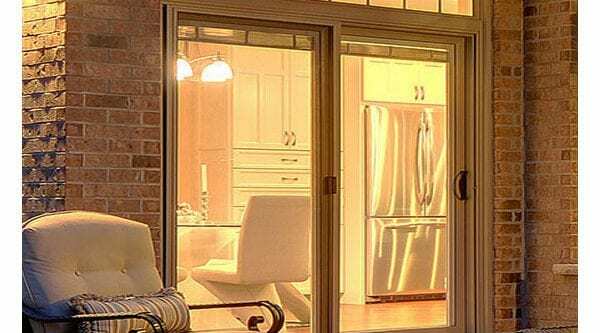 Brock Doors & Windows Ltd. 4 Real Ways New Windows Improve Your Life! But, what if I were to tell you there’s more to be concerned with that can actually improve the quality of your life that’s even easier than the above commitments? That’s right, new windows. Everything from the increased natural light in your home (pretty!) to the more anxious-free daily life and energy savings—replacing your existing, outdated windows will literally enrich your existence. 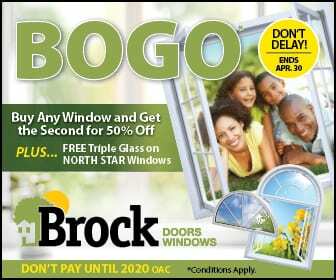 Let’s review the 4 ways new windows from Brock Doors and Windows will positively impact your life. If you currently have foggy windows or thick frames obstructing your pretty Brampton, ON views, they need to go. The natural light you’ll experience from new, quality replacement windows from Brock will provide you with the sunlight you’ve been craving but been deprived of. These days, window are manufactured with light, less-invasive frames that give you clearer sightlines. Think about this: the more natural light that comes through your new windows, the less electricity you need to use just to see in your home. And, that means more Vitamin D, which we’re all in short supply of here in Canada! Anxiety and depression are a very real, growing problem for all ages. With our fast-paced work schedules and hectic lifestyles, it’s no wonder more and more people are experiencing disorders like anxiety, depression, and restlessness, right? Natural light has been strongly linked to helping alleviate the symptoms of mild to serious depression and anxiety, which ultimately helps in productivity and efficiency at work and at home. You read that right—easier clean! Here at Brock, our vinyl replacement windows are so much easier to clean and maintain than others out there on the market. Vinyl is weather-resistant, and it won’t crack, peel, chip, fade, or warp. For cleaning? A little warm water and some mild soap a couple times a year keeps them looking new! As mentioned already, the more natural light you’re utilizing, the less need you have for flipping the light switches on during daylight hours. And, because our Brampton, Ontario Windows here at Brock have high insulation values, you get to keep the heat inwhen outside feels frosty and the cool air in when it’s the dead of the summer! See—it helps to save your HVAC system from working too hard! Money saved, in our experience, makes for very, very happy homeowners. Who knew windows from Brock Doors and Windows could literally improve your life? Well, we knew… If you’re looking for a home upgrade that will positively change your world, we’d love to help! Come visit our team of experts today! We can’t wait to meet you!